Gotham is a Police Procedural set in the DC Comics Universe, specifically in Batman’s Gotham City, though this isn’t a show about the Dark Knight. Instead it tell the stories of Commissioner Gordon’s early years in the Gotham City Police Department as an idealistic and honest cop in one of the most corrupt cities in DC America. The series opens up with the iconic Wayne murder scene, with Bruce and his parents walking home through an alley only to be mugged and Thomas and Martha killed. But while other Batman media go from this spot into the training montage and the first Batman escapades, Gotham tells us what happens right after, when the police arrive. 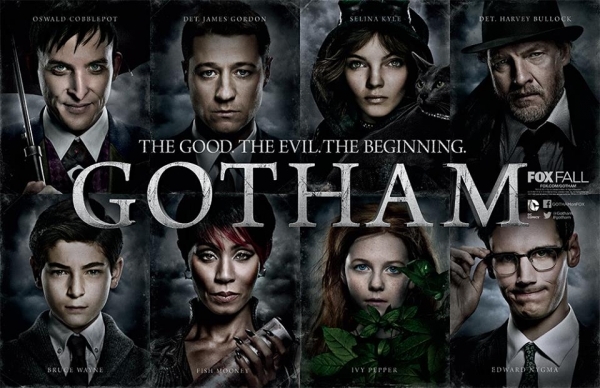 The main cast of Gotham…don’t be fooled though, Ivy shows up for maybe 5 minutes in the pilot and that’s about it! Same with Nigma, a very minor character! The pilot introduces all the major players and the overarching plot line of the season, the Wayne murder and its implications on the city’s balance of power. It also sets all the players and pieces on the board, with every episode thereafter building on them. On the side of the law, a term used loosely in Gotham, there’s Jim Gordon and his partner Bullock from Homicide and Montoya and Allen from Major Crimes Unit. Bullock couldn’t be dirtier and from his interactions with their boss, so is she. Gordon on the other hand is an idealistic good guy, but his association with Bullock means everyone thinks he’s dirty. That is precisely the case with Montoya, she immediately flags him as ‘scumbag’ the moment she meets him, and then spends every episode thereafter trying to get Jim’s fiancée Barbara to leave him. She says it’s because he’s not a good guy but there’s a story between them and as the episodes go by, the good Major Crimes Detective falls well into the creepy ex-girlfriend territory. Allen on the other hand is barely important to the show, just there because Montoya needs a partner, even though DC Comics fans know he’s a pretty cool character. This is character I want to know more about, even if I already know most of it! On the criminal’s side, there are three notable characters and a whole lot of secondary ones: Carmine Falcone, Fish Mooney and Oswald Cobblepot, already nicknamed Penguin, a name he hates. Fish and Penguin’s roles are to be our link to the criminal underworld. Fish plots takeovers and betrayals and is the go-to girl for the detectives during their investigations, while Penguin, despite his relatively low position on the food chain, sees the bigger picture more clearly than every other character and knows just what the death of the might bring about. And behind his meek behaviour hides one of the most brutal characters in the show. He kills someone at least once per episode. Carmine on the other hand is there to represent Gotham’s status quo, to let the audience know how things work in the city. And it works, mostly because they don’t show him that often, only appearing to give out some needed advice and punishment. While his part is small, Edward Nigma is just as riddle-obsessed as you expect him to be! Finally, the Waynes and Catwoman. This version of Alfred Pennyworth is much more intense than we’ve ever seen him, perfectly capable of snapping at his young ward and call him on his nonsense but stuck between his responsibilities as a parent to the young millionaire and his role as his servant. He worries about what Bruce is going through. As for the young Batman himself, he goes from grieving kid to determined vigilante in training maybe a bit too quickly and every episode has him doing something that depending on your point of view might be extremely stupid or simply badass. From standing on the edge of Wayne Manor’s roof to holding his hand over a lit candle, Bruce challenges himself further every episode, followed by Alfred’s reprimands and Gordon’s advice and life lesson. 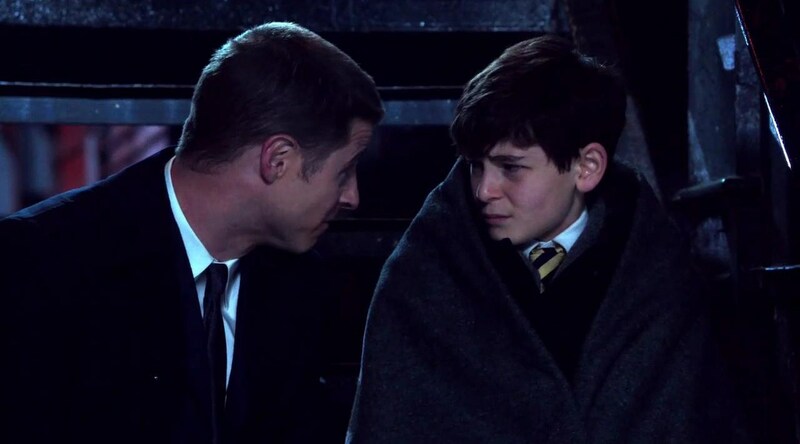 The show tries to make Jim Gordon into a substitute parent figure alongside Alfred, but so far it’s the show’s weak spot, as it seems too forced. Selina Kyle, already going by the nickname Cat, is there at the scene of the Wayne’s murder and so far she’s proven both very capable at getting in and out of trouble and that she knows more about the killer than anyone else, even the police. She’s actually one of the most intriguing characters so far, as there is a lot about her that hasn’t been said, a lot of backstory hinted at but not revealed, such as her stints in juvie. The one thing that struck me as odd while watching the show is the language. You’re dealing with criminal elements yet no one even says a bad word. True, it’s DC comics, but it makes the underworld a little less believable. At least they haven’t gone into “Darn” territory, because if they do I’m jumping ship. A show doesn’t need constant streams of Fs and Cs and any other insult, but when you’re dealing with clearly uneducated and violent individuals, which most of the thugs in Gotham are, you hurt their characterization by giving them a cleaner language than they should have. The performances on the show are a bit of a mixed bag. Donal Logue’s Bullock is sleazy and dirty and both appalling and entertaining to watch. Ben McKenzie’s Gordon on the other hand lacks strength. It’s not a bad performance, just needs a bit more bite to it. 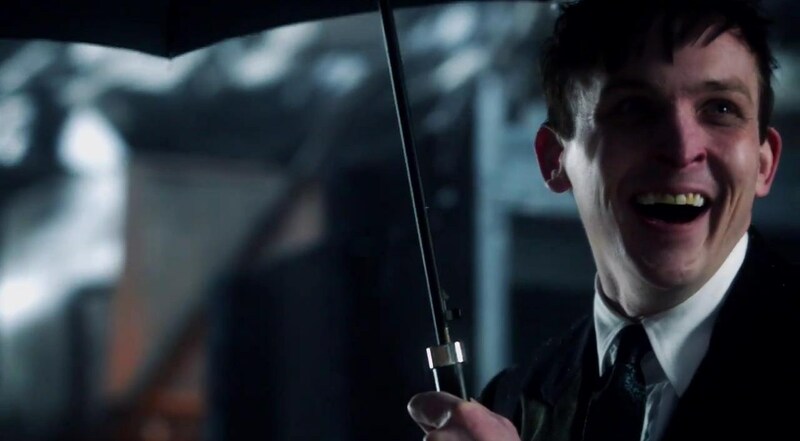 The best actor is definitely Robin Lord Taylor, his Penguin is just perfect and even while being servile he dominates every scene he’s in. Jada Pinkett Smith is seductive, scheming and downright scary as Fish Mooney and her scenes are all fantastic. Victoria Cartagena’s Montoya scenes on the other hand are bland and boring. Every other actor in her scenes, especially Erin Richards during the increasingly creepy Barbara & Montoya scenes, outshines her. I don’t know if it’s her fault, the director’s or the writing, but they need to pick it up because Renee Montoya is a kickass character and she’d not doing her justice. Camren Bicondova is awesome as Cat and is pretty entertaining to watch. Alfred is another powerhouse performance, from losing his temper with Bruce to simply being the stoic butler standing there. Bruce, David Mazouz, on the other hand is completely and utterly forgettable. This is the only Gordon-Bruce scene that doesn’t seem forced! As of now, Gotham is in that wobbly first season every superhero TV show seems to go through even more than any other type of show. 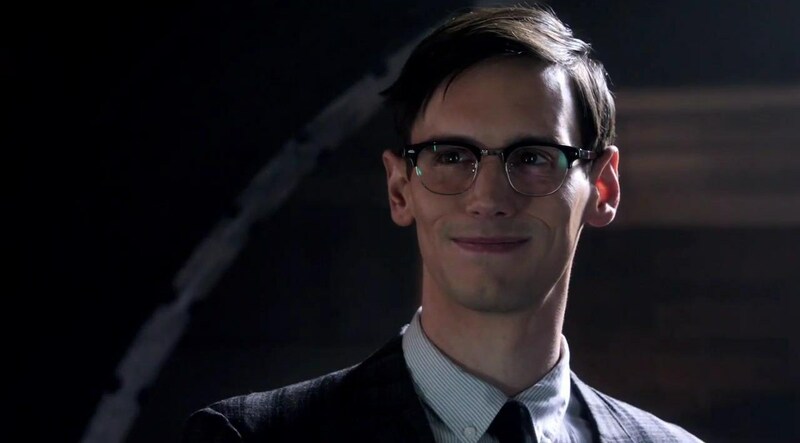 It’s good and intriguing enough to bring me back every week and the potential for stories in that time period of Gotham are practically endless, especially since they’ve said every episode will have one Joker candidate. It’s a good show. I agree with your review and hope the show continues to evolve.